In 2016, the Indian Space Research Organisation (ISRO) created an independent Indian Regional Navigation Satellite System (IRNSS) for national applications. This system, NavIC, has seven satellites which provide positioning, navigation and timing service over India and its neighbourhood. However, to expand the coverage to entire earth, efforts are needed. Vibha Varshney talks to Vinod Kumar, deputy project director, AOCS (Attitude and Orbit Control System), control dynamics and simulation group of the ISRO on the sidelines of 104th Indian Science Congress on what can be done to make NavIC a global navigation system. Can you make NavIC a global system? The seven satellites that are part of the system are placed above 35,786 km from the Earth’s surface called geostationary earth orbit. So far, the NavIC signal is available only in India and in its neighbourhood covering 1,500 km. It is proposed that multiple nanosatellites can be launched at low earth orbit which would work in collaboration with the existing NavIC satellites. These nanosatellites will be in touch with the stationary satellites only for some part of the day to recalibrate their equipment like quartz clock. A discrepancy of 100 nanoseconds in clock would affect the positioning by 30 metres. These satellites will use NavIC signal as measurement and we can then use mathematical models during NavIC non-visibility periods. We are still in the study phase. These nanosatellites at low earth orbit along with existing NavIC in GEO/GSO can become a global system for navigation. We can think of putting around 50 satellites that can be networked together. Why should a common person shift from GPS to your system? A person who has a NavIC receiver can use this service across the world. This receiver could even be part of mobile phones if industry shows interest. We have seen that during critical times GPS and navigation service providers can deny the service to other countries. At present only four countries have such navigation satellites. The Indian system would help a common person, too. 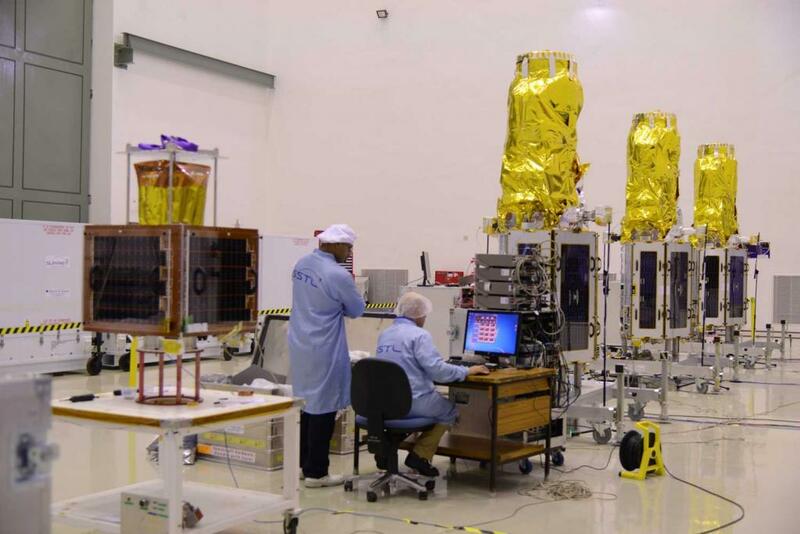 While the GPS satellites are dynamically changing their position with respect to an observer on earth, NavIc satellites are stationary and are more accurate in Indian region. Moreover, satellites that provide positioning services carry costly and heavy atomic clocks but these high fidelity mathematical models can offer same information provided by the clocks and thus, avoid this cost.